We’ve been covering the International Association of Amusement Parks and Attractions (IAAPA) for quite some time now here at Theme Park University. Without question, the company garnering the biggest buzz at the convention always seems to be Dynamic Attractions. 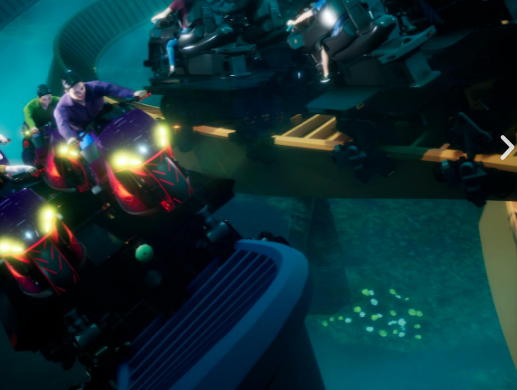 In 2017, we called the Dynamic Attractions All-Terrain Dark Ride vehicle the most exciting product we saw at IAAPA. As it turns out, the company earned a brass ring award for the design and it continues to be one of the most talked about ride systems available in the industry today. 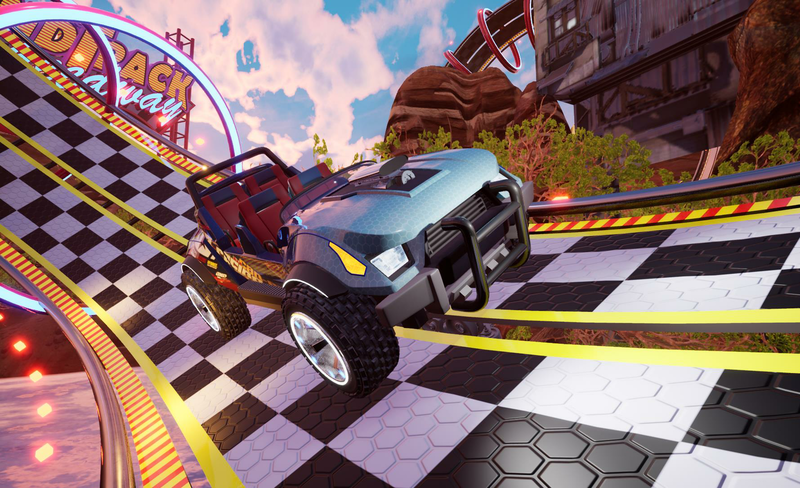 In 2018, Dynamic Attractions unveiled the Duel Powered Coaster and yet again, the entire themed entertainment industry is buzzing. At this point, we are fairly familiar with slot car ride systems that currently exist in various parks. Test Track at Epcot, Radiator Springs Racers at Disney’s California at Adventure or even Journey to the Center of the Earth at Tokyo Disney Sea. This new ride system takes that experience up a few notches in a few different ways. 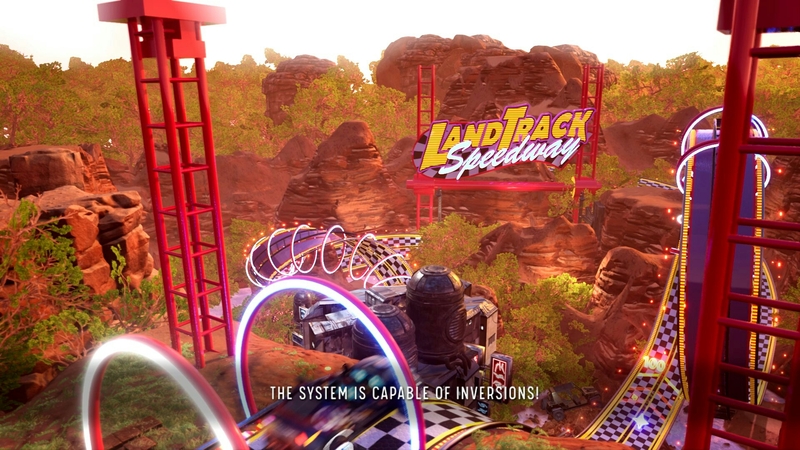 First, make no mistake about it, this is a roller coaster ride system that can be assisted by gravity as well as getting power from underneath the track. However, what this new ride can do goes far beyond just how it is powered. This baby can take full-on inversions! 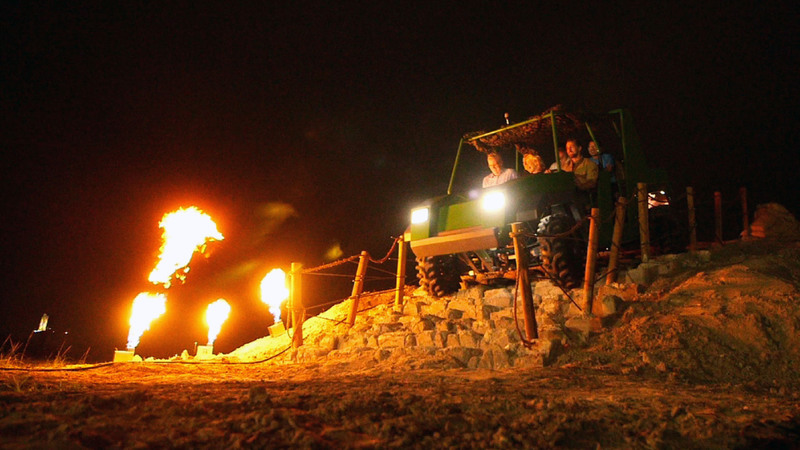 The ride vehicles can take on many forms. From open-top jeeps to convertible cars to motorcycles. Most importantly, these babies can race side-by-side which adds another thrilling element. The motion platform, which is hidden underneath the track itself, contains most of the hardware that makes this ride unique. Dynamic calls this four degrees of freedom (4-DOF). 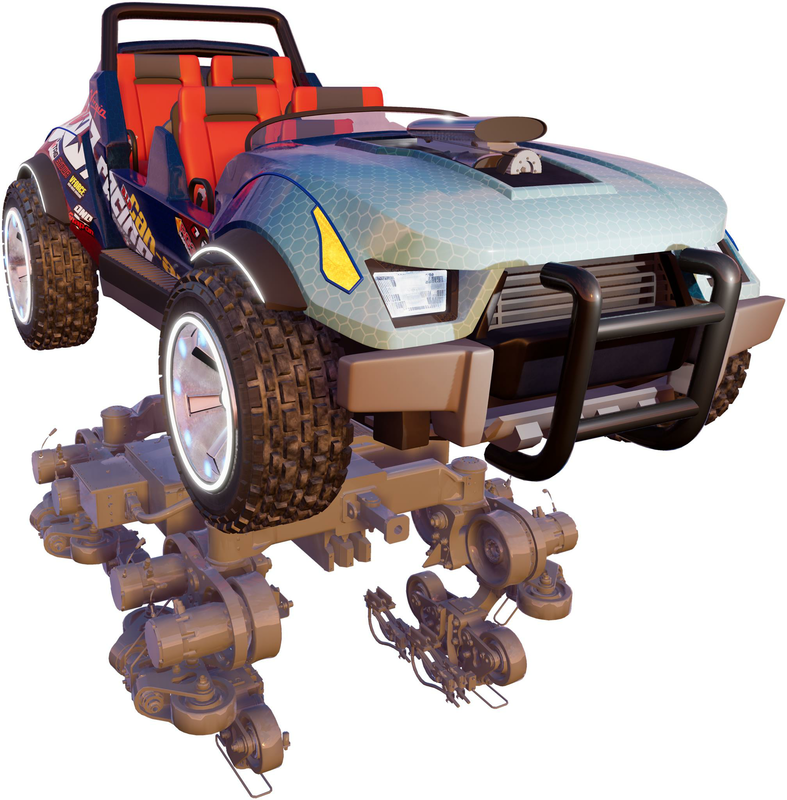 This allows the car to pitch forward, rock from side to side, change heading and heave up and down as it moves along the track. 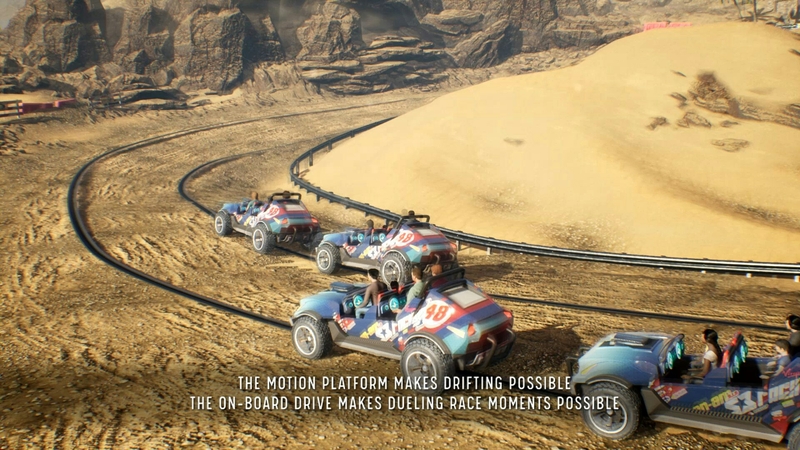 Another thing this ride can do is allow the cars to “drift” as they take wide turns throughout the track. 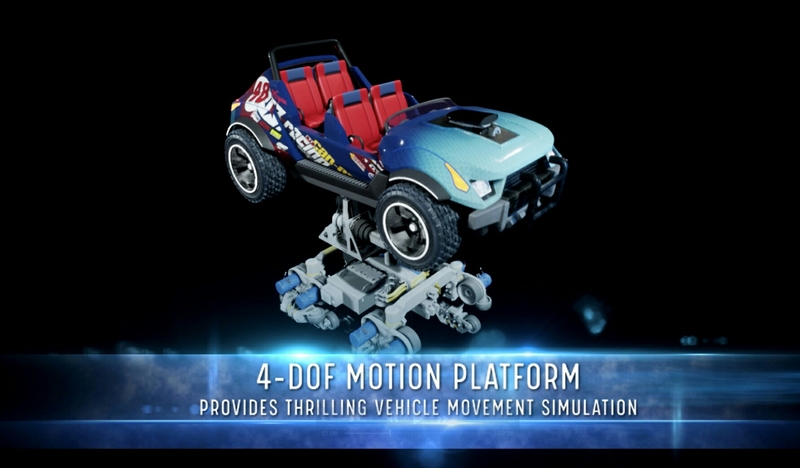 Not to mention, you can program the Duel Powered Coaster to spin-out 360 degrees! 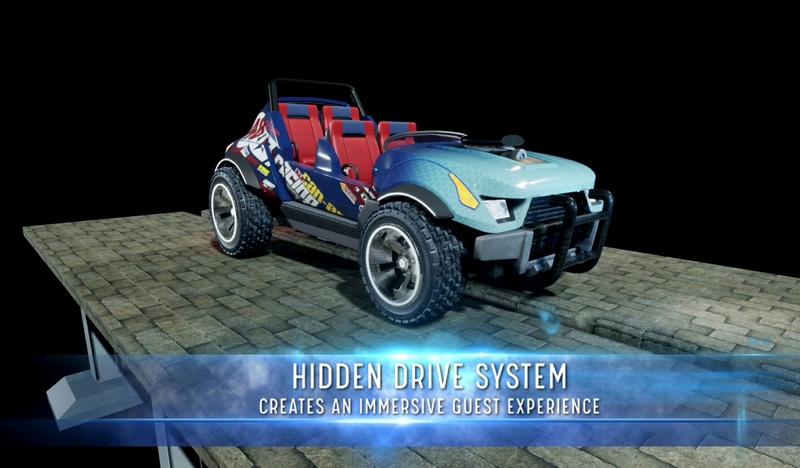 As it turns out, the first of these new ride systems is being manufactured as I type this. It will open in a park in Malaysia in 2019! To see the full sizzle reel in action, check out the video below! This entry was posted in Theme Parks 101 and tagged Duel Powered Coaster, Dynamic Attractions, IAAPA, roller coaster, theme park. Bookmark the permalink. Trackbacks are closed, but you can post a comment.